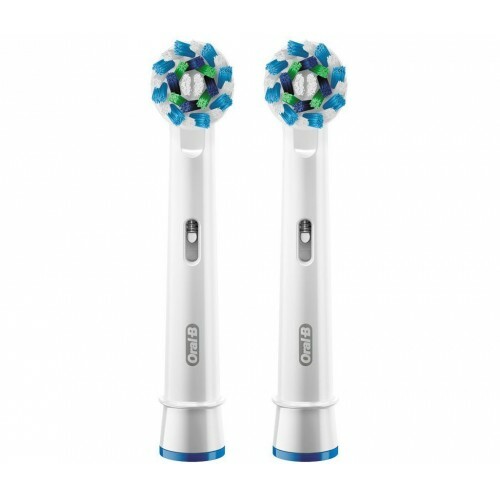 Thanks to its precisely angled bristles, the Oral-­B CrossAction replacement head can reach deep between teeth to remove plaque. These replacement heads are compatible with the entire Oral­-B line­up of rechargeable electric toothbrush handles, with the exception of the Sonic range. Each Oral­-B CrossAction replacement head snaps easily into place on most Oral­-B electric toothbrushes. The precisely angled bristles on these brush heads have various lengths, which means that while the longer bristles reach deep into the gaps between teeth, the shorter bristles thoroughly clean the surface of each tooth to leave it shining beautifully. 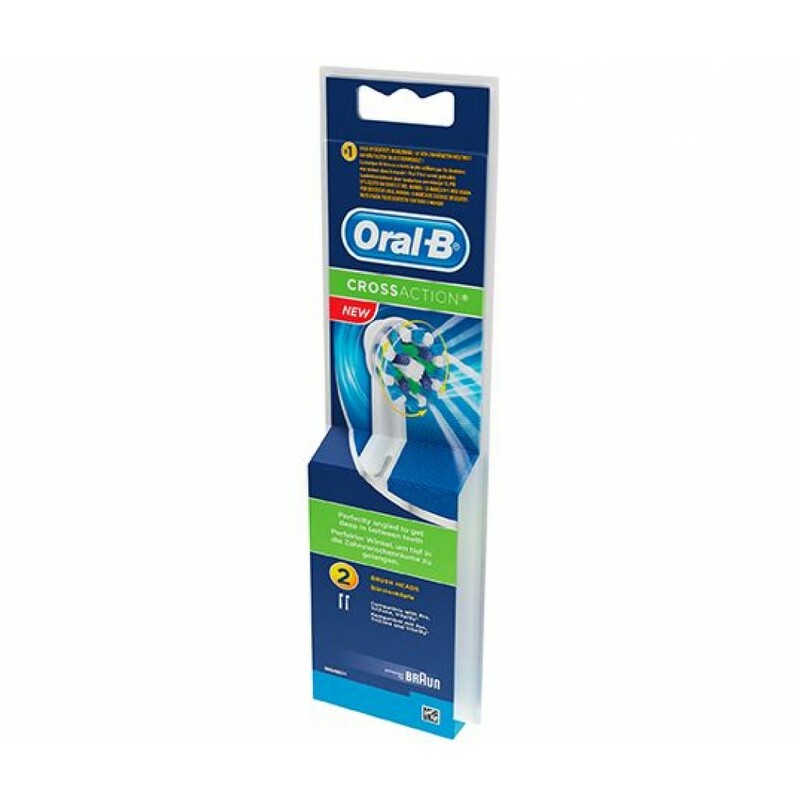 The deep reach of the Oral­-B CrossAction replacement head bristles allows them to clean areas of the mouth that other brush heads miss. 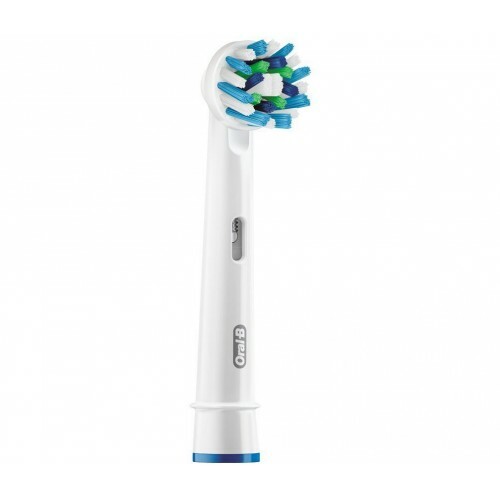 Compared to a manual toothbrush, these electric toothbrush heads offer superior plaque removal. Keeping your teeth free from plaque is one of the most important aspects of dental health, as the bacteria in plaque release acids that damage enamel and lead to dental cavities. Why Should You Buy this Replacement Brush Head Pack? The CrossAction replacement head is Oral-­B's best­selling replacement brush head. This twin- pack will provide you with several months of use, with the indicator bristles letting you know when it is time to change to a new brush head. Compatible with almost all Oral-­B electric toothbrush handles, the Oral-­B CrossAction replacement head offers a thorough daily clean.